ICELAND. 2007. 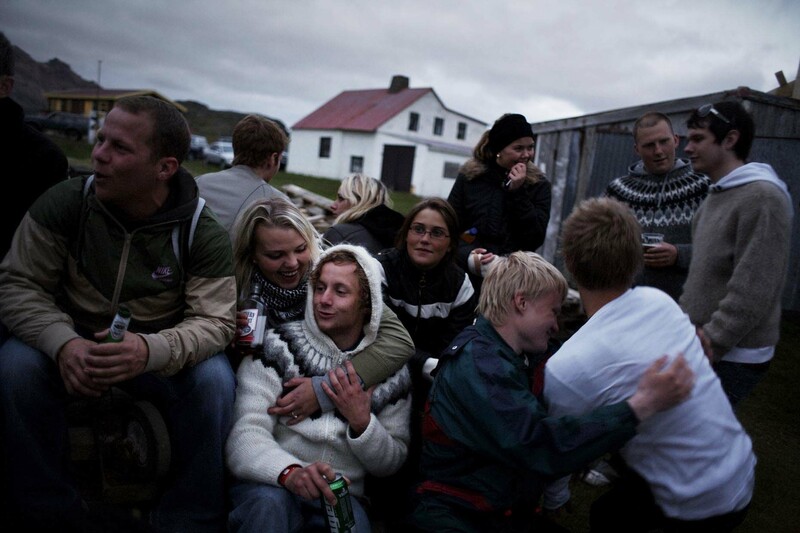 In Borgarfjörður Eystri, young people gathering on a Saturday night. This town of approximately 150 people is a good example of an isolated East Iceland community, with only one access road. The town faces a decline in fishing and farming, the traditional ways to make a living. Many youths leave for other towns to get jobs. Unless more opportunities are brought to the vulnerable community, in a few decades it will essentially become a summer home community with few year-round residents. It is in places such as this, that people can often welcome heavy industry, as it can provide a way to bolster local employment.